Nutrigenomics is an new and exciting field in medicine. Nutrigenomics looks at the underlying cause of all disease processes by identifying the underlying cause of all diseases. This is sometimes called lifestyle medicine, as it investigates what lifestyle choices turn genes on for disease and keep genes turned off to keep diseases at bay. By performing functional medicine testing, Dr. Boynton can determine any underlying genetic problems that may predispose you to certain diseases. For example, those that have a gene mutation in the MTHFR gene can reduce the effectiveness of certain enzymes that break down B vitamins so they can be used effectively. When B12 and Folate are not used properly, some common conditions are depression, anxiety, poor detoxification, elevated homocysteine which leads to heart attacks. 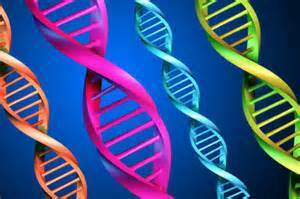 However, having a gene mutation is not the end of the world. Through proper nutrition, life style modification and nutritional support genes can be turned off so they do not express the potentially harmful affects.